**PRICE REDUCED, **PERFECT CARFAX VEHICLE HISTORY REPORT, **CARFAX NO ACCIDENTS, **I WAS MADE IN 1998 THE SAME YEAR GOOGLE WAS FOUNDED, **WHILE GOOGLE IS WORTH BILLIONS I'M WORTH $2,899, **NEW CAR TRADE IN AT KINGS FORD, **THIS VEHICLE INCLUDES THE FOLLOWING FEATURES AND OPTIONS: Light Group, 4 Speakers, AM/FM radio, Bodyside moldings, Bumpers: body-color, Driver door bin, Driver vanity mirror, Dual front impact airbags, Four wheel independent suspension, Front anti-roll bar, Front Bucket Seats, Front Center Armrest w/Storage, Passenger door bin, Passenger vanity mirror, Power steering, Rear window defroster, Split folding rear seat, and Variably intermittent wipers. ** We offer Market Based Pricing, please call to check on the availability of this vehicle. We'll buy your vehicle even if you don't buy ours. Our quick, no haggle experience allows you to buy easier and faster. 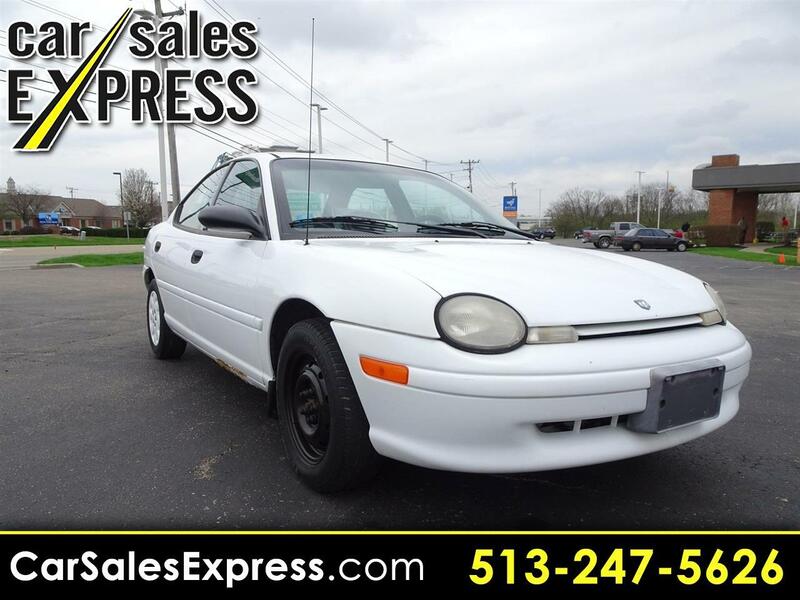 Message: Thought you might be interested in this 1998 Dodge Neon.